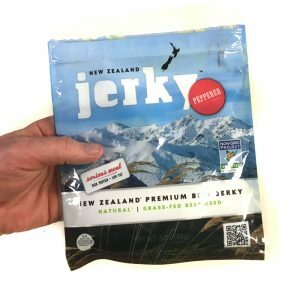 Always on the hunt for new Jerky, our friends at That Daily Deal have shared a link for an early access sale for New Zealand Premium Peppered Beef Jerky. This stuff is described as grass-fed non-GMO and the prices are pretty good, and they get better if you order more. Head on over and pick up a few bags. We’ve ordered ours and will be posting a review as soon as they arrive. Tagged beef, deal, jerky, new zealand, peppered, premium. Bookmark the permalink. Check out the jerky selection at The New Braunfels Smokehouse. Tasty! Absolutely, The New Braunfels Smokehouse is delicious!